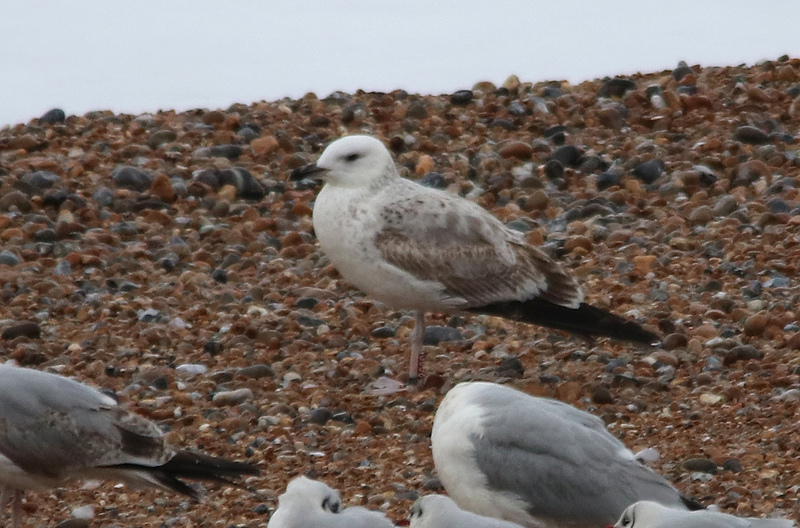 The Patch was very good again this morning. 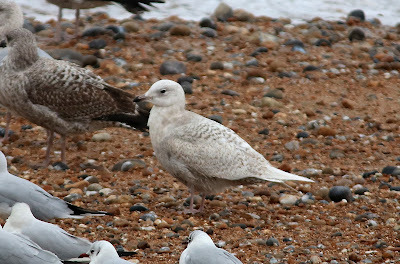 One of the Iceland Gulls was still there and a colour-ringed Caspian Gull (900P) was also still there (having also been seen over the weekend). 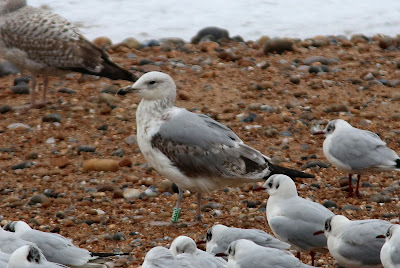 Another colour-ringed gull was also seen which appears to be from an eastern european colony and are usually Caspian Gulls but in this instance but I am not sure that this bird is one and may well be a hybrid. Original ringing details are awaited. A second-winter Caspian Gull and a second-winter Mediterranean Gull was also seen. 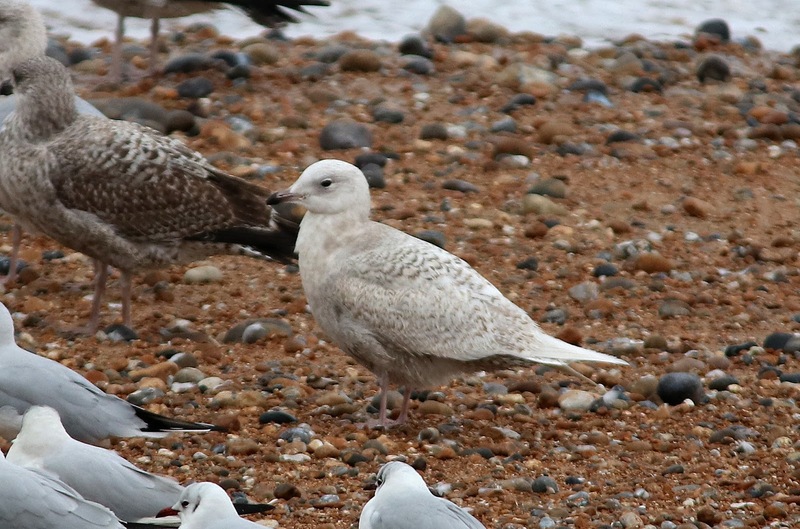 A Black-throated Diver and 378 Red-throated Divers and over 1500 auks flew east over three watches during the day.